Auckland’s Hauraki Gulf is a paradise for birds and those who like to watch them. The island with the difficult name (Tiritiri Matangi is Maori and means “tossed by the wind”) was mainly a huge meadow, before it got turned into a beautiful open sanctuary. No matter if you are a birder or not, a Tiritiri Matangi Island tour should definitely be on your list of things to do in Auckland. Love my article? pin it to pinterest! Your Tiritiri Matangi Island day trip starts in Auckland city at the harbour. The ferry to Tiritiri Matangi takes about 75 minutes and operates Wednesday to Sunday only. 360 Discovery cruises by Fullers is the only company who has permission to land on the island. Before you go on board, the crew asks you to brush off your shoes and double-check your day pack to make sure you don’t accidentally bring anything to the island that could endanger the carefully created balance. The island is pest-free and would like to stay this way. Once on board, make yourself comfortable. There is a cafe on the Tiritiri Matangi ferry that sells coffee, sandwiches and snacks. If you didn’t bring your own lunch, this is your last chance as there is no possibility to buy food on Tiritiri Island. After disembarking on the island, everyone is gathered together for a short briefing on what to do and not to do in the island (to sum it up, take only photographs and only leave footprints. But don’t leave the footprints outside the path). There is a trailer where you can leave your lunch bags. They will bring it to your lunch spot, so you don’t have to carry them during the tour. If you booked a guided walk, you then get to choose between two types of Tiritiri Matangi Island walks. One goes along the Wattle Track and takes about an hour. The other one takes about two to three hours and goes along the Kawerau Track. You get to see a lot of birds either way. The choice is only if you prefer a longer or a shorter tour. The tours are lead by the Supporters of Tiritiri Matangi, a group of volunteers who look after this amazing island and make sure that Tiri stays the paradise it is. 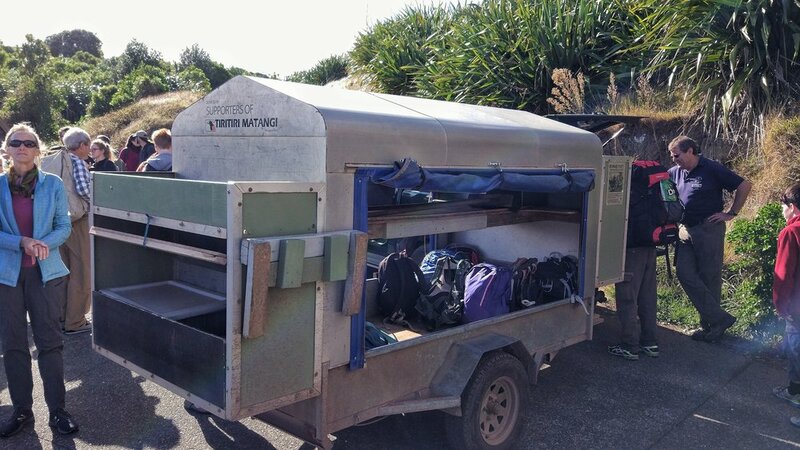 They keep track of the Tiritiri Matangi Island birds and often relocate some of them to a new home elsewhere in New Zealand, when they were especially successful with breeding (the birds, not the volunteers, that is). You learn from them how the island was once used by Maori tribes who gave Tiritiri Matangi its name. From about 1840, just after the country New Zealand was founded, the island got a lighthouse people started farming until there was almost only grassland left. It stayed this way until 1984, when the Department of Conservation, alongside with the WWF, started a replanting program. The aim was to grow a habitat for native birds, reptiles and insects, many of which were endangered on the mainland due to imported predators like rats or cats. By the completion of the programme in 1994, over 280’000 trees had been planted. 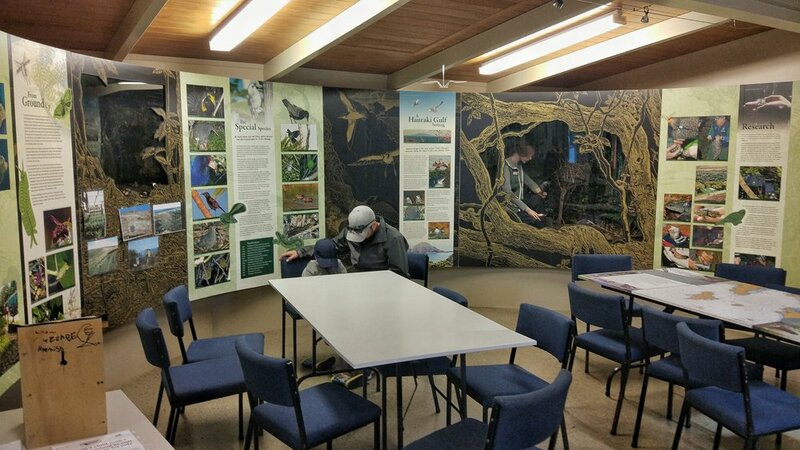 The idea of opening the sanctuary to the public has raised a lot of discussions in the beginning, since people thought it would be contradictory to have visitors on a sanctuary island as they would disturb the new Tiritiri Matangi birds. However, time has shown that, despite being one of the main attractions in auckland, people, animals and nature got along quite well. Next to attracting tourists, Tiritiri is very popular for school excursions. Towards the end of the tour, you come past a couple of bird feeding stations. They are actually meant for the rare stitchbird (called hihi in Maori). They need supplementary feeding since the bigger and the cheekier birds take away their food. However, the feeding stations are well guarded by bellbirds and only the occasional hihi tries to get to the food. The tour ends at the gift shop, where you have time to eat your lunch and enjoy complimentary tea and coffee while browsing through the shop. 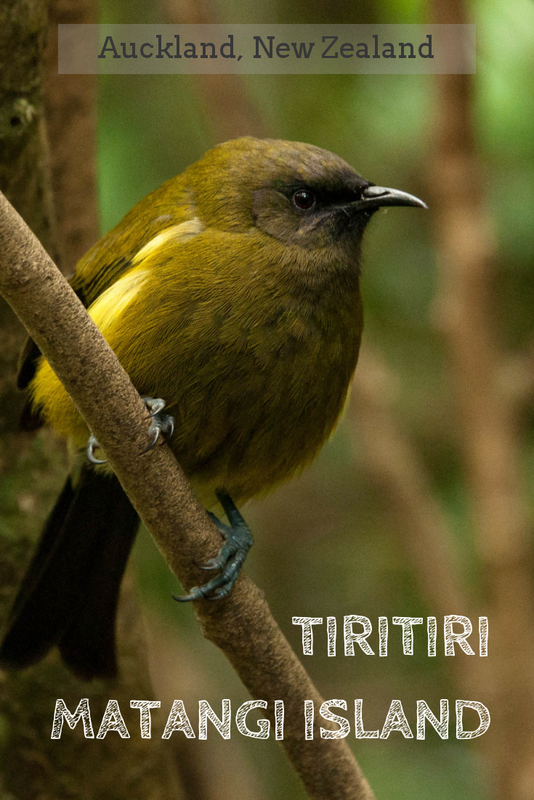 There is also a lot of information about the birds and the Tiritiri Matangi history,for those who would like to read further and the ones who didn’t participate in the tour. Next to the gift store stands the 20 meters tall Tiritiri Matangi lighthouse. It’s over 150 years old and is still fully functional, with modern solar panels. Next to the lighthouse is the lighthouse keeper’s cottage. It can be visited and showcases old relicts that were used to communicate with the mainland, via morse code at first and radio later on. At 3.30pm, the ferry is ready to bring you back to the city. Don’t miss it! It would be a very expensive ride with the water taxi! I do agree that there are more famous islands in Hauraki Gulf, like Waiheke or Rangitoto, and if you only have a very short time in the city, you probably choose them first for your Auckland day tours. 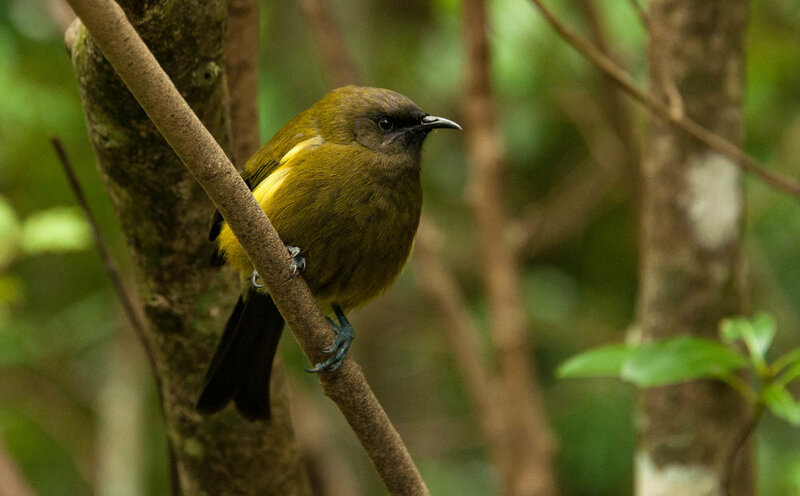 But Tiritiri Matangi island definitely is one of the best natural attractions in Auckland and if you like learning about the native birds of New Zealand and/or are a repeater to visiting Auckland and want to see something new, Tiritiri is your island! Families with small children get to go in their own group with other kids. This ensures a child-friendly tour and makes sure that the little ones don't get bored. Once the tour is finished, there are plenty of things to do. In the back of the souvenir shop is a big room with more information about the island and the local wildlife and there are even stuffed animals on display. Tiri definitely makes a good daytrip from Auckland with kids! The most popular one is Waiheke Island. It's a favourite for foodies and wine lovers as it has an abundance of little boutique wineries. But the beaches are just as beautiful and there is great swimming. The ferry to Waiheke runs often and long, so you'll have plenty of time. In the meanwhile, we did make it to Rangitoto Island, and it was totally worth the wait. The youngest volcano in Auckland is an enchanting place that let’s you travel back in time and see how the world might have been formed. Loved my article? The please share it with your friends on Facebook and don’t forget to pin it to Pinterest, too.